Pop seals, hose out with brake cleaner or similar and repack with grease. Once they go notchy you've got metal particles and dry grease inside. You need to get that out if you want them to move at anything like a bearing should. Cheers Dougal - they weren't at the notchy stage yet, but got a liberal application of grease. My googling is inconclusive on shifter / derailleur intercompatibility. Will a Shimano 9spd mtb shifter play nicely with a 10spd road derailleur? The Google-fu suggests all 9spd rear works, and that road 9&10 are the same shift ratio... Except for some. 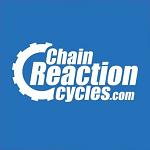 I'm looking at a 105 derailleur and xtr shifter. Anything dyna-sys or 11sp road won't mix, cable ratios are different. Sweet, that's the detail I'm looking for. I see PBR is selling a rockshox air shaft. Will this fit in an old 26" Lyrik? Same internal stanchion diameter, threads, circlip fitting etc? Nope, old lyriks don't have the dimple in the stanchion to equalise the negative air chamber. Ah, I thought there might be something like that. My air lyrik has the last functional 2step internals in the world, just interested in sticking with air while it's an option. Otherwise I'll coil it up like the others. Up to the bar, no. But they should be a wee bit soft past the point of engagement aye? globe wrote: But they should be a wee bit soft past the point of engagement aye? I’ve never used Elixers, but I don’t think any brakes should have any softness beyond the bite point? You sure it’s not the lever flexing? Once the fluid is compressed I can’t see how there could/should be any movement. Conners wrote: Once the fluid is compressed I can’t see how there could/should be any movement. Unless there's something in the fluid that's compressible... Like air. It'll never be rock hard, but it should feel crisp when it engages with the pads and feel quite firm.